So you are struggling with English. Or you realize a need to improve your ability to speak and understand it. Whatever the specifics, you are not sure where to start. This guide will give you some simple and accessible advice and techniques to help you get started. From movies to ESL groups, there are a number of different and usually free ways for you to practice and expand your English vocabulary and this guide gives you a primer so that you can navigate your way through them and find what works best for you. 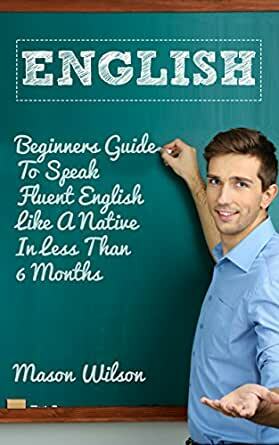 Download your copy of "English: Beginners Guide To Speak Fluent English Like A Native In Less Than 6 Months " by scrolling up and clicking "Buy Now With 1-Click" button.